A color-banded loggerhead shrike found south of Goose Pond FWA in July 2017 successfully raised six young in Davies County this summer. Fledging six young is exceptional for shrikes, which on average fledge 2.6 per nesting attempt. This female is even more special because she is the only one of 12 banded shrikes that hatched last year to be sighted back in Indiana this year. This summer she paired with a male shrike that did not nest in 2017, likely because there were no female shrikes left in his area after steep declines in this songbird’s population. 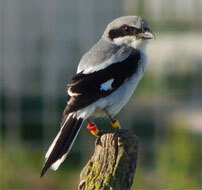 For more information view the Indiana Department of Natural Resources, Fish and Wildlife, Loggerhead Shrike. Collisions with man-made structures are one of the primary causes of bird mortality. In fact, up to a billion birds are killed each year in the United States due to window strikes. Approximately 50% of the time, these strikes result in death. This publication offers practical, researched, do-it-yourself tips to limit bird collisions at your residence – many of which can be implemented at little or no cost. It also outlines best practices for what to do if and when a bird strike occurs. 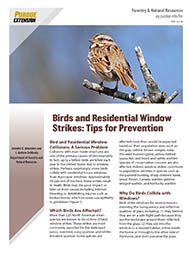 To view this full publication please go to Birds and Residential Window Strikes: Tips for Prevention at The Education Store. Take a look at the Indiana Woodland Steward Winter 2016 Issue, a resource that’s full of a variety of valuable information to foresters. The issue includes topics such as a forest products price report and trend analysis, current events on managing forests for birds in Indiana, the state forest timber sale process, as well as much more. Check out the Winter 2016 Issue to stay current in the world of forestry, and feel free to browse archived articles dating back to 1992 for more information. 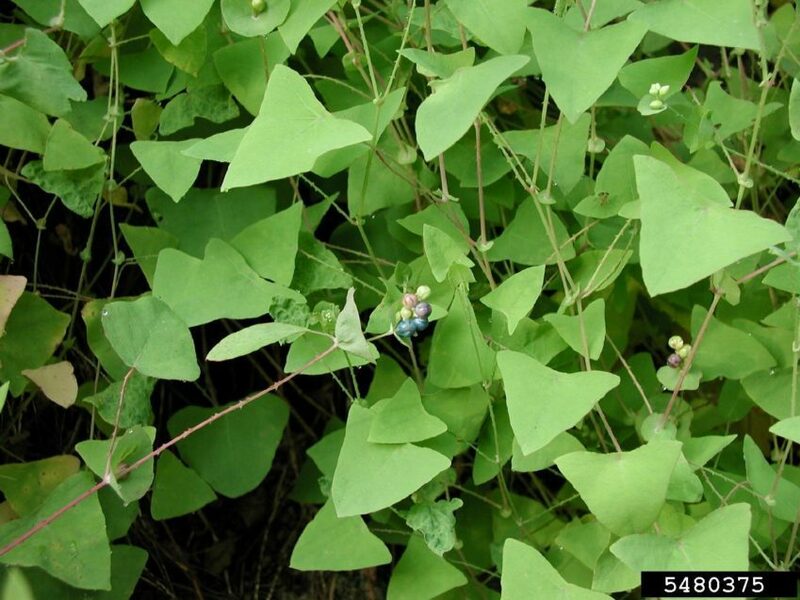 The Indiana Woodland Steward Insititute is an entity made from 11 organizations within the state including Purdue University, Indiana DNR, and Indiana Hardwood Lumbermen’s Association that works to promote best usage practices of Indiana’s woodland resources through their Woodland Steward publication. P eople need trees. 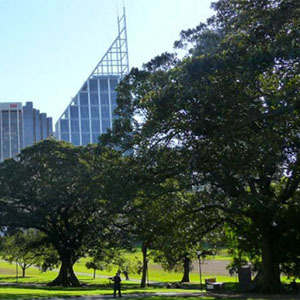 When over 80% of the US population lives in the urban forest, it becomes increasingly more important for us to take positive action in protecting our trees. Read up on the New Year’s Resolutions for Community Tree Advocates to see how you can make a difference in your community to improve our urban forest and our quality of life. Every hunter knows the importance of acorns for game and non-game species alike. When acorns are plentiful it can alter the movements and patterns of game species and when acorns are absent wildlife must rely on alternative food sources to meet their nutritional needs during the fall, winter, and early spring. Knowing the importance of acorns to many wildlife species, it is beneficial to identify which trees are the most reliable and best producing in the woods. Oak trees in Indiana fall into 1 of 2 groups, white oak (e.g., white, swamp white, and chinkapin) or red oak (e.g., northern red, black, and pin). White oaks produce acorns in 1 growing season (acorns falling in 2016 are from flowers that were pollinated in the spring of 2016) and red oaks produce acorns in 2 growing seasons (acorns falling in 2016 are from flowers that were pollinated in the spring of 2015). This means a late frost in the spring may result in poor acorn production in white oaks in the fall of the same year, but will not influence red oak acorn production the same fall. 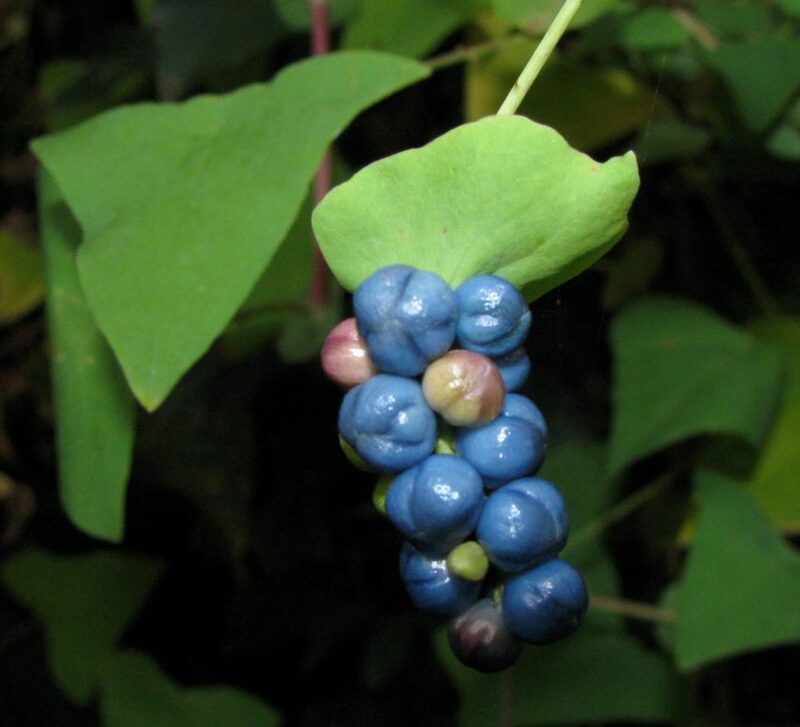 However, a late frost in back-to-back years may result in a mast failure from both groups. White oak acorns tend to be selected by wildlife more than red oak acorns because they contain less tannins resulting in a less bitter and more digestible acorn. Check out the Native Trees of the Midwest to learn more about oaks, their value for wildlife, and help you learn to identify different species. 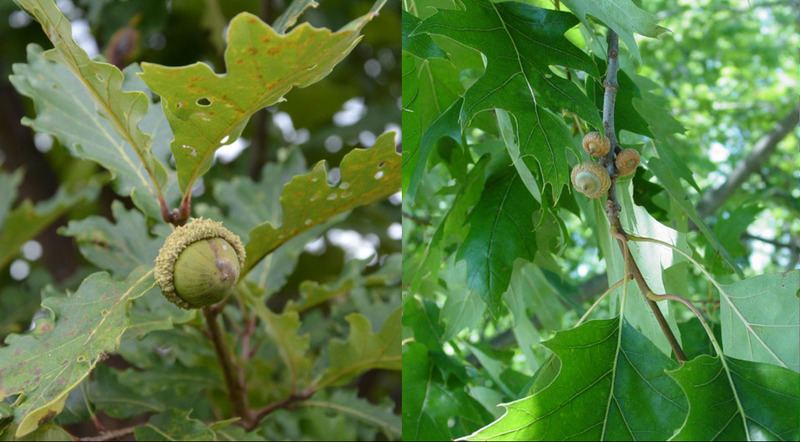 Oak trees can be split into production groups based on their relative acorn production capabilities. Some individual oak trees are inherently poor producers and rarely produce acorns even in a bumper crop. Whereas other individuals are excellent producers and may produce acorns even in the poorest year. 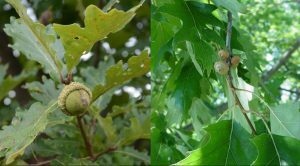 Research from the University of Tennessee reported poor mast producing trees represented 50% of white oaks in a stand and produced only 15% of the white oak acorn crop in a given year, whereas excellent producing trees represented 13% of white oaks, but produced 40% of the total white oak acorn production. 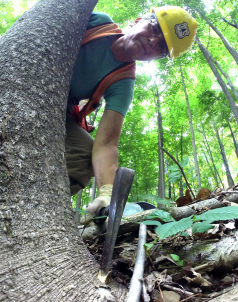 When you included excellent and good producing white oaks together (31% of trees), they accounted for 67% of the total white oak acorn crop in a stand. This means a minority of the white oaks in a stand may produce a majority of the acorns! 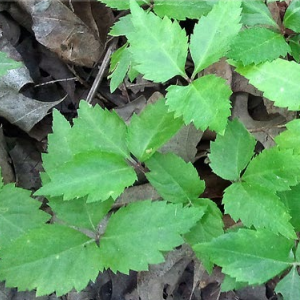 Understanding that some individual oak trees are poor producers, some are excellent, and some fall between poor and excellent, surveying oak trees can help identify important mast producing individuals. The late summer and early fall, just prior to or at the beginning of acorn drop, are perfect times to identify the best and worst producing oaks in your stand of timber. Scouting can be as formal as conducting a mast survey or as informal as taking mental notes of oak trees with heavy crops of acorns on the ground while you are walking to and from your tree stands in the fall. Either way, scouting oaks for acorn production capability can provide more information when determining where to hunt in the fall or which trees to retain and which trees to remove during a timber harvest. If wildlife management is an objective on your property, trees that you identify as the best acorn producers in the woods can be retained during a timber harvest, while poor producing trees can be removed with little detriment to overall acorn production. It is important to remember to retain a balance of oaks from both the red and white oak group, favoring red oak, to help safeguard against complete mast failures. 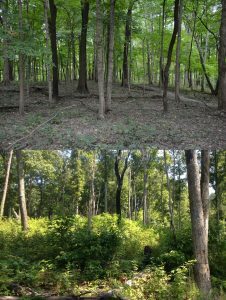 The top photo is of a mature forest with very few canopy gaps resulting in very little cover or food for wildlife. 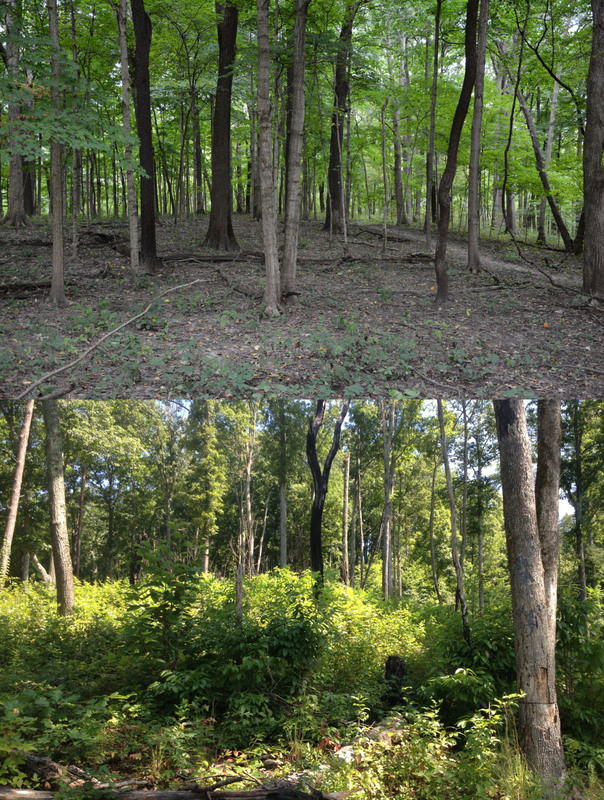 The bottom picture is of a forest stand where undesirable trees have been girdled (tree on the right-hand side of picture) to increase light to the forest floor and where multiple prescribed fire have been conducted to increase forage production and cover. Annual acorn production in a stand of oaks is highly variably and can be dependent on environmental conditions. For example, late frosts, poor pollination, and insect infestations all can be culprits for poor mast production across a stand of oaks. Because of these factors, white oaks tend to only produce reliably 2 out of every 5 years, meaning 3 out of 5 years (60%) there is poor mast production or a failed mast crop in white oaks. Red oaks may produce a good crop as frequently as 2 to 5 years, but only produce a bumper crop an average every 5 to 7 years. The extreme variability in acorn production underscores the importance in considering alternative food sources for fall, winter, and early spring for wildlife. In most mature forests with few canopy gaps there could be as little as 50-100 lbs of deer selected forage per acre in the understory. However, with some management, like thinning and prescribed fire the amount of deer selected forage can be increased to almost 1000 lbs/ac! Additionally, forest management also increases the amount cover throughout the year for species like white-tailed deer, wild turkey, ruffed grouse, woodcock, and many forest songbirds. 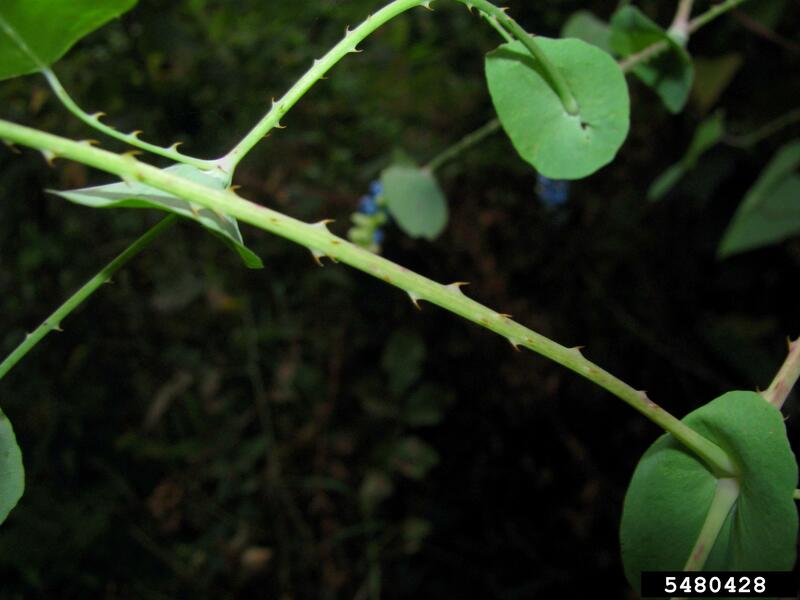 Contrary to popular belief, cover can be more of a limiting factor for many wildlife species compared to food availability. 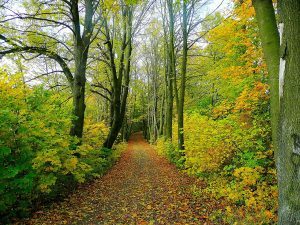 Forest management could include girdling undesirable trees to expand growing space for mast producing trees or conducting a timber harvest removing undesirable trees and poor producing oak trees while retaining good producing trees. For more information on conducting a timber harvest for wildlife on your property contact a professional wildlife biologist or professional forester in your area. When spending time in the woods this fall, take the time to look up and down to see which oaks in your woods are the best producers. Choosing and planting a tree should be a well-informed and planned decision. Proper selection and planting can provide years of enjoyment for you and future generations as well as increased property value, improved environmental quality, and economic benefits. On the other hand, an inappropriate tree for your site or location can be a continual challenge and maintenance problem, or even a potential hazard, especially when there are utilities or other infrastructure nearby. This informative video will describe everything needed to know about choosing the right tree. It’s a tough neighborhood for trees in the built environment. It is an ecosystem unlike any other, because it is dynamic, fragmented, high-pressure, and constantly under siege. 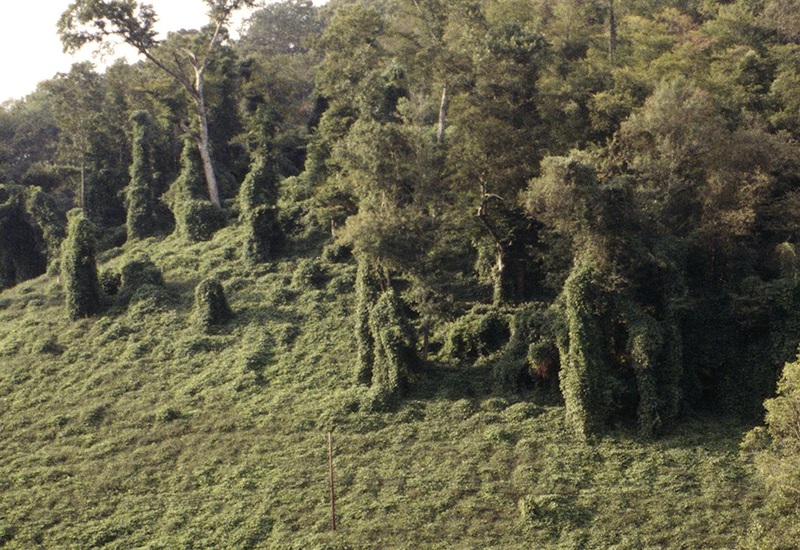 There are continual extremes and challenges in this “un-natural” area as opposed to the environment in a more natural woodland. 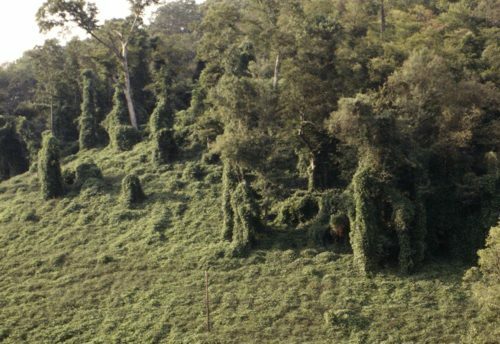 It’s a place where trees die young, without proper selection, planting, and care. Successful tree selection requires us to think backwards—beginning with the end in mind— to get the right tree in the right place…in the right way. This publication, Tree Selection for the “Un-natural” Environment, takes a look at some important components of the decision-making process for tree selection. There is both a publication and a video resource on this topic, both of which can be found below.